ROOTSTIX quick-fix hair touch up pen announces two new colors to help eliminate grey and extend color between appointments. The release of Red and Dark Brown join the company’s first three colors – Black, Light Brown and Medium Brown. And it that dries instantly. I hate having to dye my hair. Its annoying, messy, stinky, and takes way to much time. I usually only dye it every few months, and then its only to cover up the gray. Even that was too much, but now, thanks to Rootstix, I can extend the time between colorings even longer. 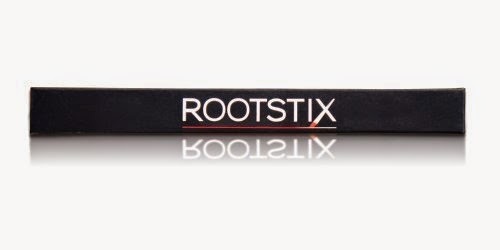 Rootstix is a simple way to cover your roots between colorings. Using it is really easy. It looks sort of like a magic marker, and it works in much the same way. You simply swipe the pen along the areas that need color, brush it through, and like magic, the roots disappear. Other touch up products didn't work for me since I only have a few grays here and there. Usually the top of my head would look darker than the rest. With this, I can color just the areas where I need it. It dries quickly and looks completely natural. The color holds up well throughout the day and lasted for several showers before it faded. 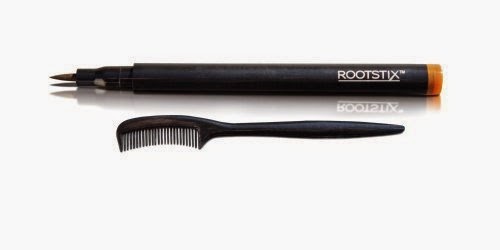 In addition to using the Roostix on your hair, it can also be used to outline or fill in your brows. It helps give them a more even, polished look. I really loved this two-in-one product. It saves me time and helps keep my hair looking ts best. I can now go 4-6 months between colorings, so it also saves me time and money. The only thing about it I am not sure I like is the tip is so small looking and I have a lot of hair and very long hair at that. Not sure how much of a pain it would be. I did check out he video on their page.